Posted on Saturday, May 7th, 2011 at 3:10pm. In contrast to the near record pace witnessed at the beginning of this year, the Vancouver real estate market seems to be normalizing. With increased inflation and rising interest rates, sales are slowing particularitly in the entry level condo market; however prices are still on the rise and the market continues to be very active. Along with a decline in the number of new listings, the frenzy of last month’s activity brought a greater balance to supply and demand. The Greater Vancouver area saw a 23.5% drop in new listings compared to last April, and a 14% decline compared to last month. The year over year drop can be attributed to a less active condo market as there were slightly more detached and townhouse sales this April compared to last. Over the past 12 months, the benchmark price for all residential properties (detached, attached and condos) in Greater Vancouver increased by 5% from $539,410 to $622,991. While our seller’s market continues, there are still significant differences in home-price trends and activity depending on your area and community. North Vancouver and West Vancouver home sales are no exception, showing steady price increases and solid inventory levels in most sub-divisions. While attached and apartment condo price increases are modest, detached values are of particular note on the North Shore. 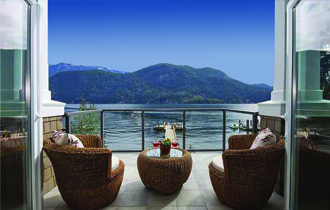 North Vancouver’s benchmark price in April is $979,949, up from $922,764 in March 2011. West Vancouver’s benchmark price is $1,637,312 up from $1,526,596 respectively. Stats are provided by the Real Estate Board of Greater Vancouver; feel free to view the complete REBGV Stats Package for April 2011. 2 Responses to "Vancouver Real Estate: Sales Down But Prices Still On The Rise"
Thanks for the update. We are seeing a similar trend here in Calgary, sales were also down in April but averages still had a rise. The bad economy is definitively behind us and now is the time to get into the real estate market. Posted on Saturday, May 7th, 2011 at 6:03pm. I absolutely agree Crystal - thanks for your comment! Posted on Saturday, May 7th, 2011 at 6:42pm.